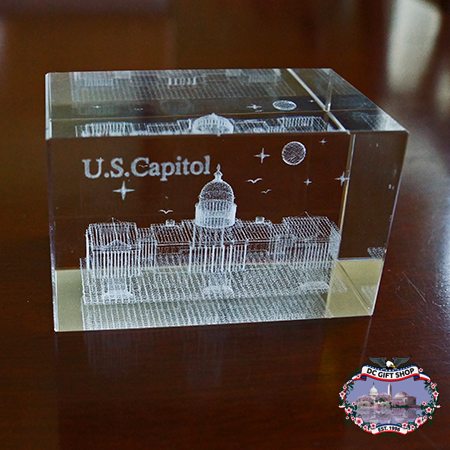 This unique glass etched paperweight of the United States Capitol is a great display in any home or office. The three-dimensional replica of the United States Capitol lets you literally see right through this famous landmark located in Washington DC. The US Capitol serves as the seat of government for the US Congress, the legislative branch of the US federal government. The dome of the US Capitol is considered one of the most famous man-made landmarks in America and was constructed between 1855 and 1866.